Increasing number of parents are realizing the importance to cultivate all-round development of their kids. As an all-time well-received brain breaks activity for kids to get up, move and refresh, dancing is of course selected by many parents to cast an extra glamour over their kids' cuteness. But it's not a no-brainer to choose the right kids dance songs to enable dance, exercise and learning go hand in hand. For example, you will find them on YouTube as it is the paradise of different music videos, particularly the YouTube Kids TV channel. To save your time and energy, here we has hand-selected some kids dance music which is ideal for kids of preschool, kindergarten and elementary ages together with a simple guide on kids songs online free download from YouTube. Speaking of songs for kids to dance, actually it contains types of kids songs, like party music, nursery songs, cartoon video music, hindi songs, hip hop songs, etc. If you have no idea about which are your kids' types, never mind, below several kids dancing songs falling within each category and being recognized by parents. Many people tend to steam kids songs online on YouTube, but trust me, that will never be the best way to get your kids' feet moving. Guess what would be if you just play it on YouTube: get your kids on the party who are ready to twist and move wait for the ads? Or the kids have to stop dancing to wait for the kids dance music buffering, or even worse, you finally pull your kids away from the computer to have some exercises, only to find the songs for kids to dance are deleted from YouTube. To get rid of these annoyances, you may turn to YouTube Kids app with payment per month or a special program to download songs for kids to dance. Below a simple yet effective kids dancing song videos free download solution is shared. To download kids dance music for free playback without any hassle, MacX YouTube Downloader, a professional and totally free YouTube downloader is high recommended. The reason comes in twofold: on one hand, the music downloader can easily and freely download any kids songs and videos in HD and even 4K UHD in seconds. On the other hand, the output videos come in different formats, resolutions and sizes, like MP4, FLV and WebM for further free playback on your mobiles. 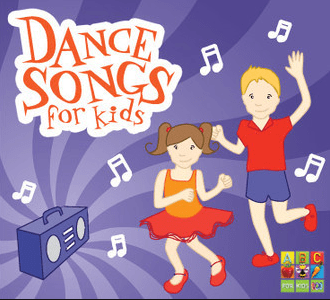 Step 1: Download and launch this free downloader of dancing songs for kids. Copy and paste the URL of the dancing songs on YouTube. Then just click "analyze" to load the kids song's information. Or you can simply click "paste & analyze" button to automatically detect the YouTube video. Tips: This video downloader enables you to output MP4 videos to iTunes Library. To put it differently, you are allowed to transfer the downloaded kids dancing songs clips to iPhone, iPad, and other mobile devices for enjoyment on the go. Step 4: Click "Download Now" to free download wonderful songs for kids to dance to. Now you can follow the above guide to download other hot music videos and movies as you want, like the funny baby videos, gay videos etc. For your reference: Generally the above comprehensive functionality o is sufficient to cover your needs. However, for those who want to put those downloaded kids video in other formats, then its higher version MacX Video Converter Pro can help. This kid dance music video downloader and converter has a strong ability to download various music videos for kids to dance and convert them to MP4, 3GP, MOV, AVI, WMV, MKV, etc as well as audio only like MP3, AAC, WMA, iPhone Ringtone, AC3 etc and directly to various popular mobile devices like iPhone 7/SE/6s/6 Plus/5S/5C, iPad Air 2/Mini 4, Android Samsung Galaxy S7/6/5/4/3/Note 7/Edge, HTC One M10, Surface Pro 4 and many more. All-around free MacX YouTube Downloader helps you to freely download any dance songs for kids from YouTube on Mac with fast speed. • Download YouTube music/videos for free: Download all YouTube music/videos in whatever format or resolution, including MP4, WebM, FLV, even HD video. • Download Videos from other 300+ Online Video Sites: Free download videos from Facebook, Vimeo, Vevo, Dailymotion, Metacafe, etc on Mac (El Capitan).